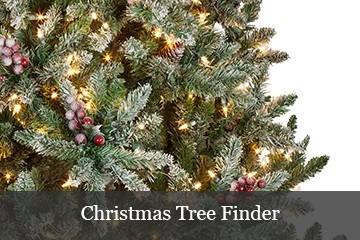 Select the location to display your tree. Lighted trees should be placed near a wall outlet. Before removing the tree sections from the box(es), locate the small pack of extra bulbs and fuses. You will want to find a safe location for these, as they may become useful in future seasons. Gently remove the tree stand and each tree section. Carefully inspect each piece to ensure there are no exposed wires, loose connections, cracks or frays. Based on the height of the tree you purchased, there will be a number of sections labeled alphabetically starting with the letter A. For example, trees of four sections are marked A-D. In the case of a four section tree, section A would represent the top, and section D would be the bottom. 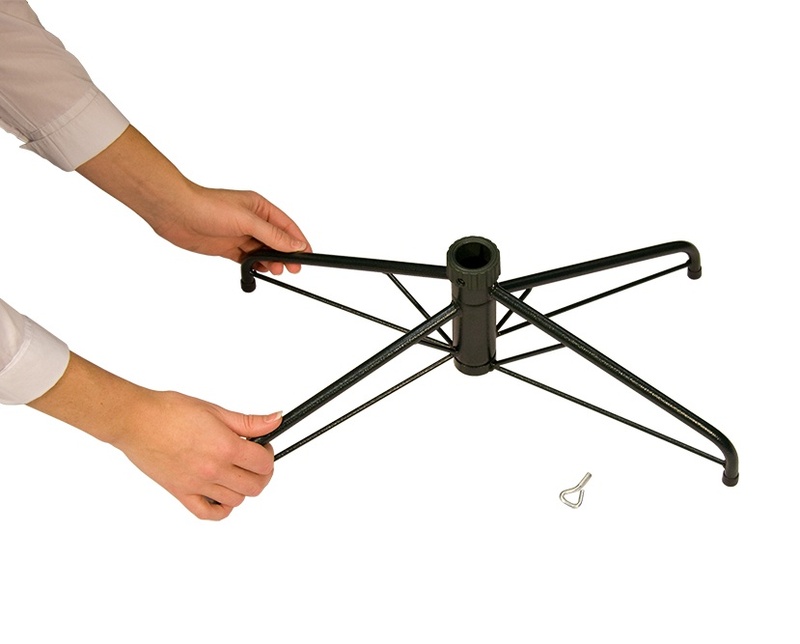 Assemble the tree stand. 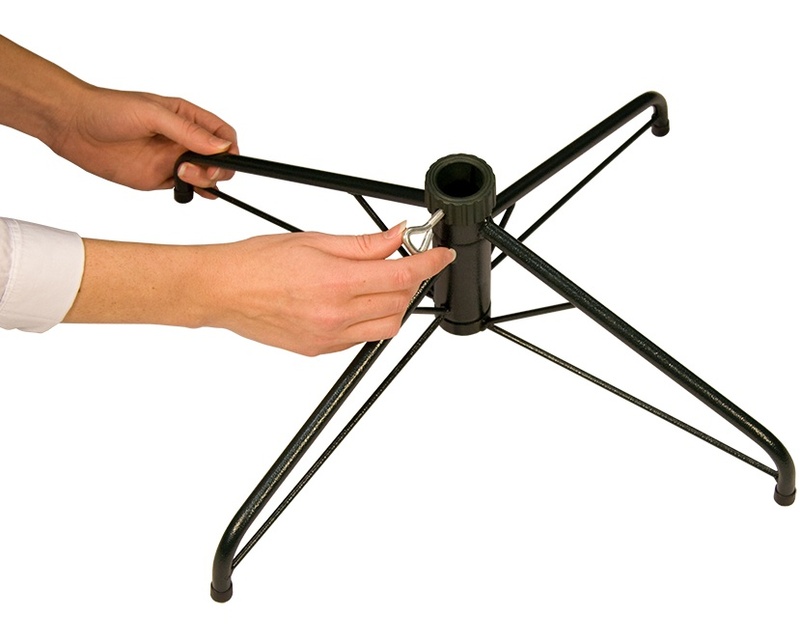 Fully extend the legs of the tree stand into the shape of an X (Image A). Next, screw the eye bolt in just enough to allow it to stay in place (Image B), being careful not to screw it in too far, as this will prevent the bottom section of the tree from being properly seated in the stand. 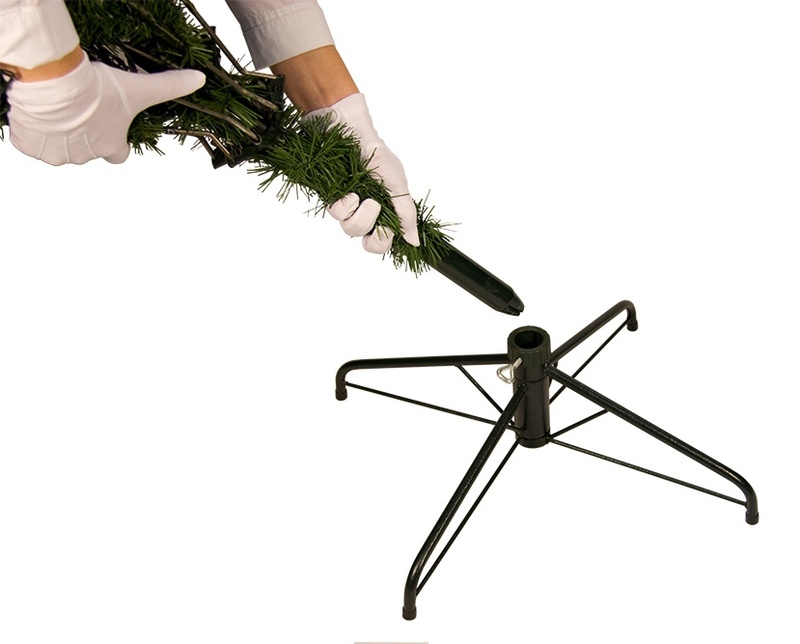 Identify the bottom section of your tree, and place the pole into the stand (Image C). Notice how the bottom of the pole is crimped almost to a point, making it easy to identify. Once the pole is fully seated, tighten the eye bolt to secure and center. You may choose to fluff each section completely before moving on to the next step. Select the next largest tree section and work your way (sequentially) from the bottom to the top (which is labeled section A). 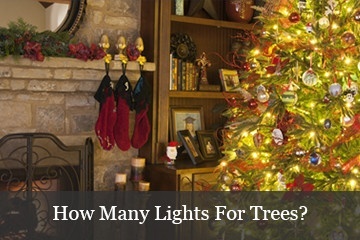 For pre-lit trees, plug the lights into each other as you go. Allow branches to fall in place. Once the branches have all fallen into place and appear evenly spaced, begin working your way up from the bottom layer, separating out the smaller branches within each larger branch (Image E). Spread the tips out in a V pattern (Image F). Alternating the direction of the tips will achieve the most natural and full appearance. Some tips will need to be directed vertically, and others should alternate side-to-side. The outermost tips can be curled upward for an upswept look or downward for an elegant downswept look. After you've worked your way to the top, step back from the tree to see if any further shaping is needed to fill in any gaps. 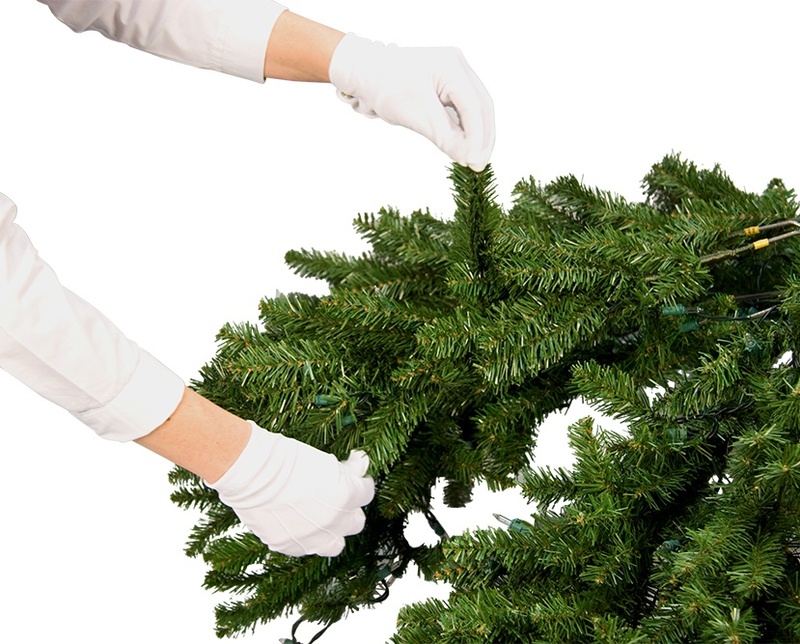 For convenience, comfort and added safety, we suggest wearing gloves when fluffing an artificial Christmas tree. 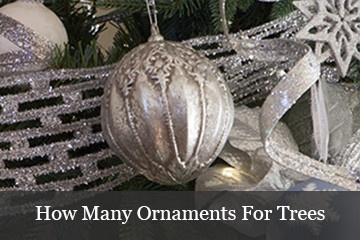 The key to a beautiful artificial tree is taking the time to ensure that each branch is shaped consistently throughout the tree. 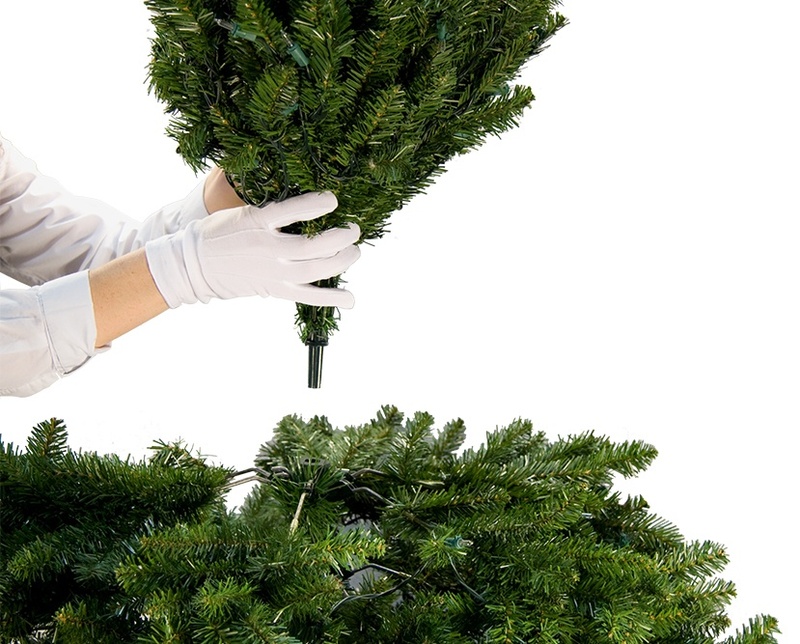 The first season requires the most fluffing, however, for future seasons, fluffing your tree will be much easier because the tree will retain much of the shape from the prior season. To achieve the most authentic appearance, find an image of a similar live tree, and try to mimic the direction of the branches and tips. 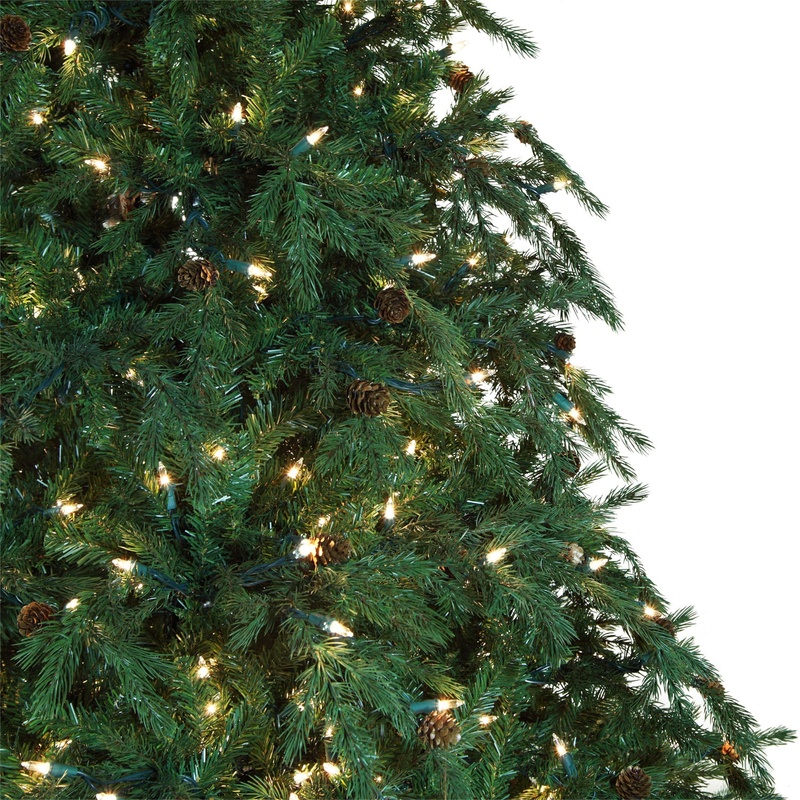 Discover gorgeous artificial Christmas trees with differing types of lights, heights, profiles, and more. 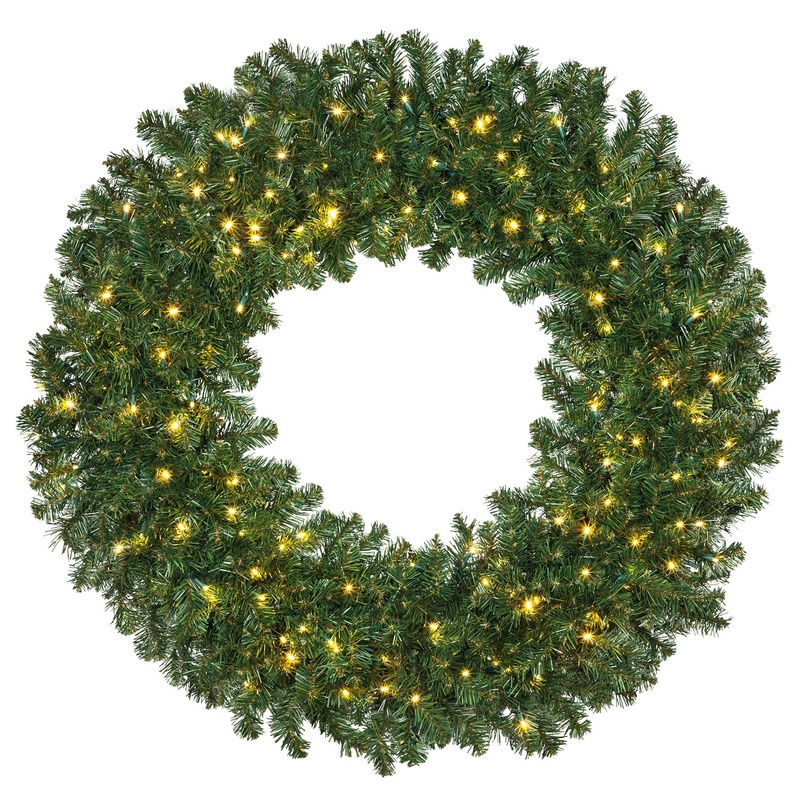 Choose Christmas wreaths in a variety of sizes and light styles to match your artificial tree.